Card imprinted front "Ant. 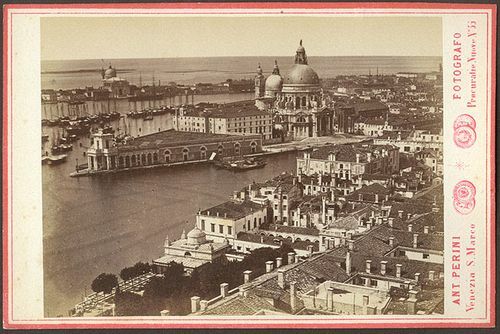 Perini / Fotografo / Venezia S. Marco / Procuratie Nuove No. 55." Card slightly curved, back orange with an old notation in ink "Veduta generale."